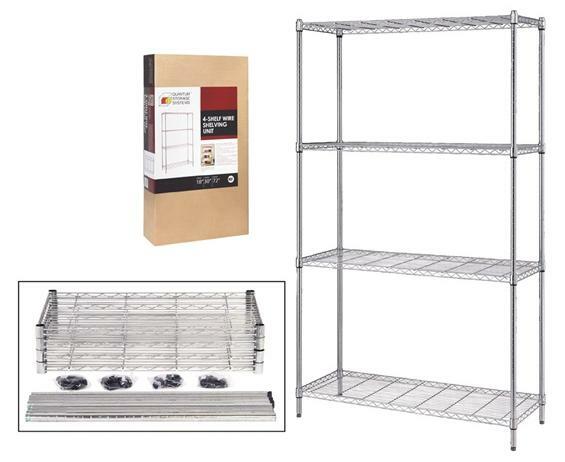 4-Shelf Consumer Grade Wire Shelving | Shelving, Inc.
All packed in 1 box for Super Easy Inventory Control, Shipping and Receiving. 300 lb. capacity per shelf. Snap together design assembles in minutes. The wire design allows for air circulation and minimal dust buildup. 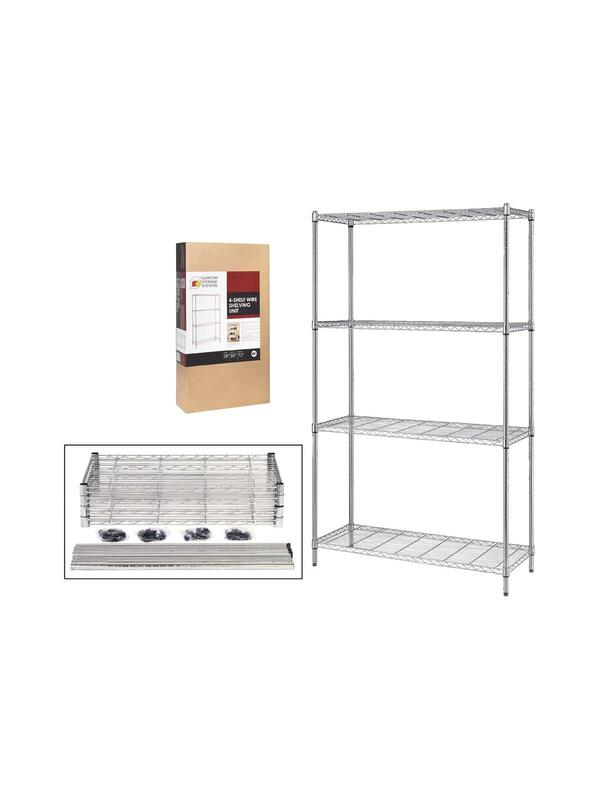 Shelves easily adjust on 1" increments to your exact needs. Ideal storage solution for any commercial, office, warehouse or home application. Bright chrome finish. FOB Shipping Point.